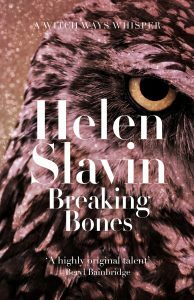 Agora Books is thrilled to announce that Breaking Bones by Helen Slavin is out now! Breaking Bones, the second Witch Ways Whisper, is a novella prequel to the Witch Ways Series. Breaking Bones is available to buy HERE. Change is afoot in Havoc Wood. Vanessa moves out of the Way sister’s childhood home, Charlie and Aron never seem to be on the same page anymore, Emz is fully engrossed in her job at Prickles nature reserve, and, in the midst of it all, Calum has gotten the approval from Hettie Way to ask Anna to marry him.